Baia Pasta feature! ~ Diane's Vintage Zest! Time for another Shop Small Saturday Showcase feature, and this one is for all the foodies! As you may know, I'm a total carb-aholic, so when I first saw Baia Pasta at Artisanal LA... well, I was in love! I brought home three pastas to try, and I just adored them. It was so fun to hear how passionate both Renato and Dario are about pasta, and I'm sure you will understand once you see their creations. 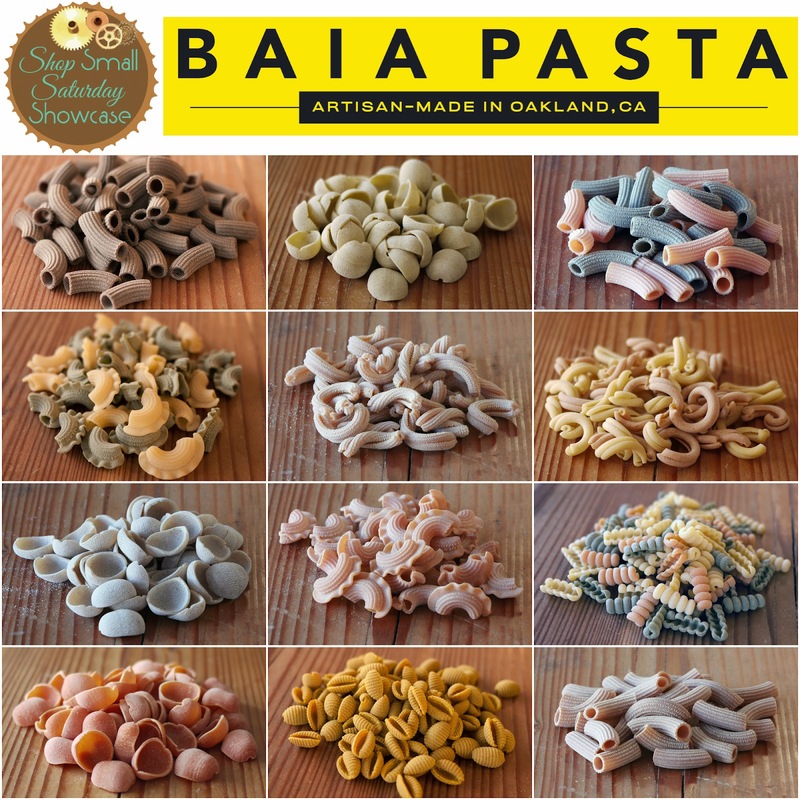 I have to admit that I went a little bit collage crazy because I wanted to share all of the pretty colors and shapes that Baia Pasta makes. :) Get ready to ooh and aah some beautiful pasta! I was born and raised in Italy from a family involved in food since generations (wholesaling business of cheese) in an area famous for its food and wines, the Langhe (in Piemonte, the region located at the Northwestern corner of Italy, next to France). My hometown is where the Slow Food movement was born and has its international headquarters. I was the international director of Slow Food and actively involved in the organization for 15 years. I had the desire since moving to the States to switch from Slow Food theory to practice and thought that dry pasta was my chance. I love dry pasta, always puzzled that you can buy quality dry pasta only made in Italy, even if most of the durum wheat comes from Canada or US. 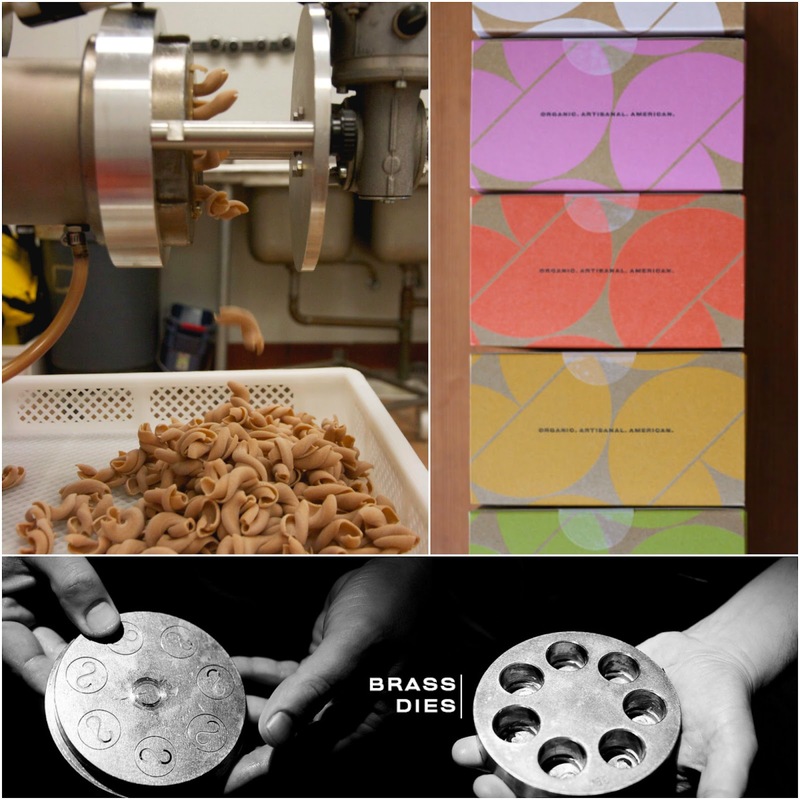 We started to make dry pasta as a hobby in a forge in San Francisco and then visited pasta places for three months in Italy in 2011. Baia means Bay in Italian. Our facility is located literally three steps from the Bay. 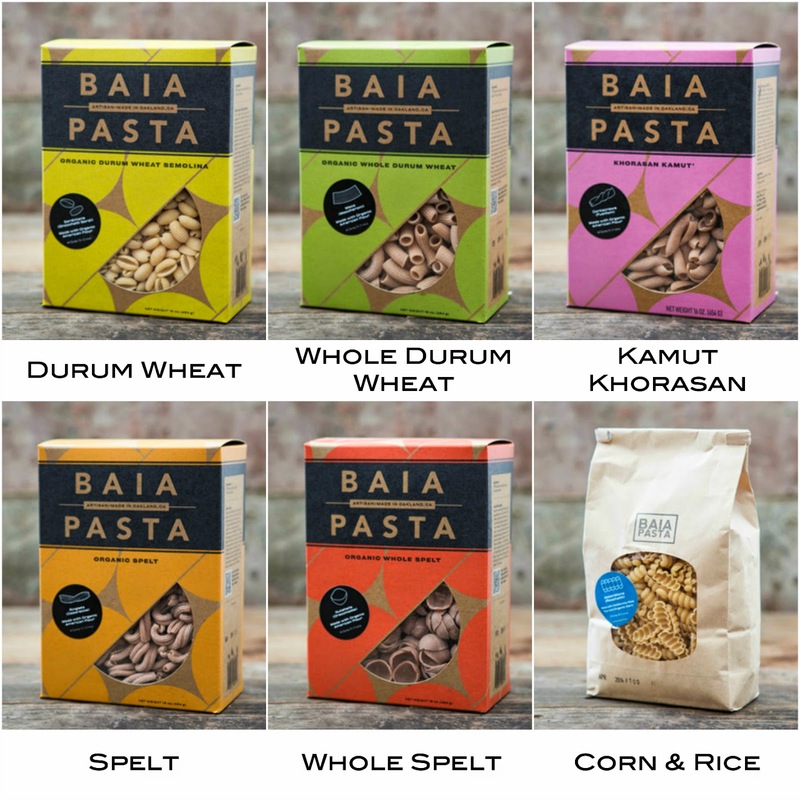 It is a name easy to remember and if you are pitching it at the market it sounds like "Buy-a-pasta"
Why did you start making goods for Baia Pasta? I wanted to make a pasta using US grains comparable to the ones made by some artisans in Italy. There was none made in the States of good quality. I love all the types of pasta we produce dearly: they are almost like my kids. If I have to single out one I would say the Paccheri in Semolina. 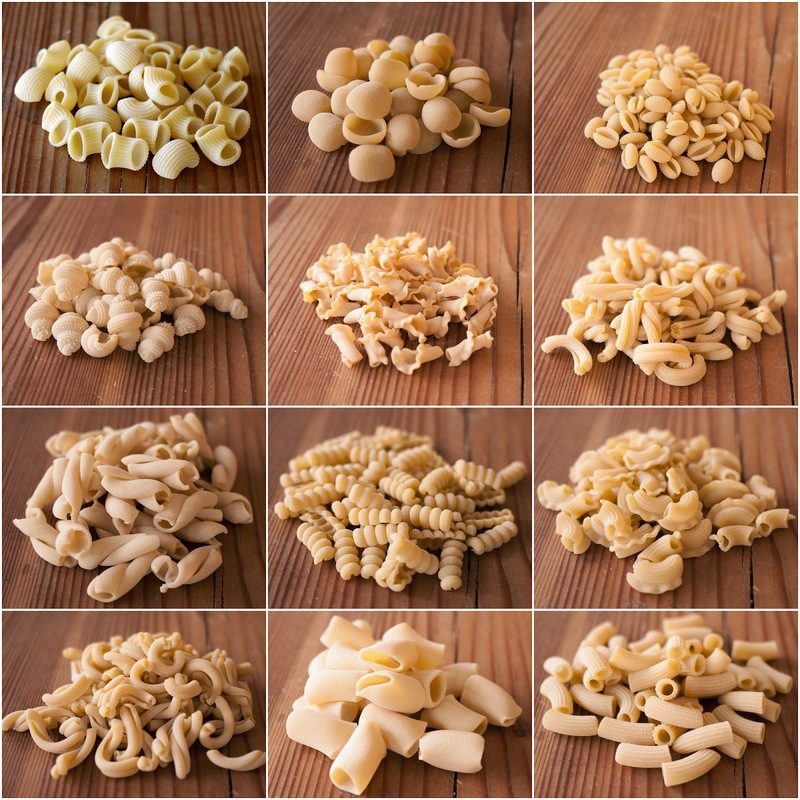 It is a classical Neapolitan shape that I always loved and if I have cravings for pasta I generally pick those. The classical semolina pasta is the one that sell the most, also because is slightly cheaper. Sales are spread almost evenly among formats, although the bestselling are still our traditional maccheroni. First of all by the Slow Food Movement. When I moved here in California I quickly realized that there were many people actively engaged, discussing and endorsing sustainable food practices. Not many that were doing it (when Slow Food started in Italy it was the opposite). 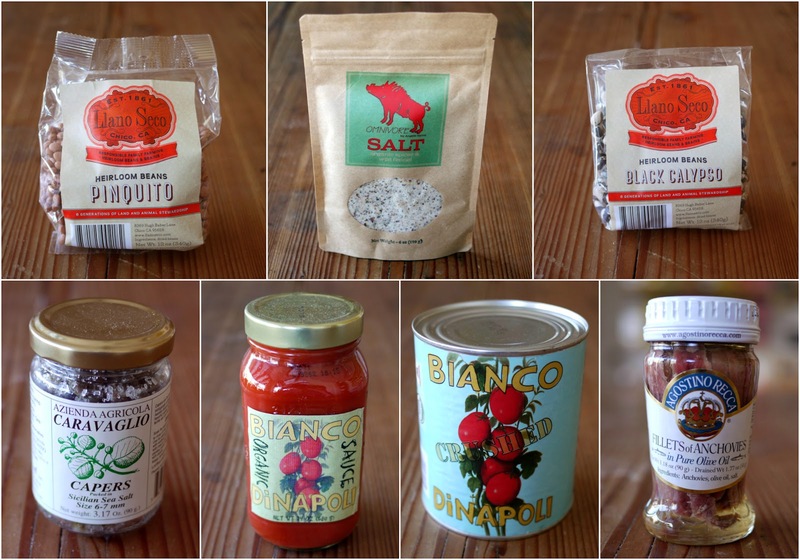 Also having many friends in the Bay (particularly in Oakland) that in these last years have opened successful food companies (Hodo Soy, Boccalone, Blue Bottle Coffee, Acme Bread etc. etc. etc.) was very inspiring and gave me the courage to do it. Our store is unique because it practically sells only our pasta (it is located right in front of the production space and people can see us making it). 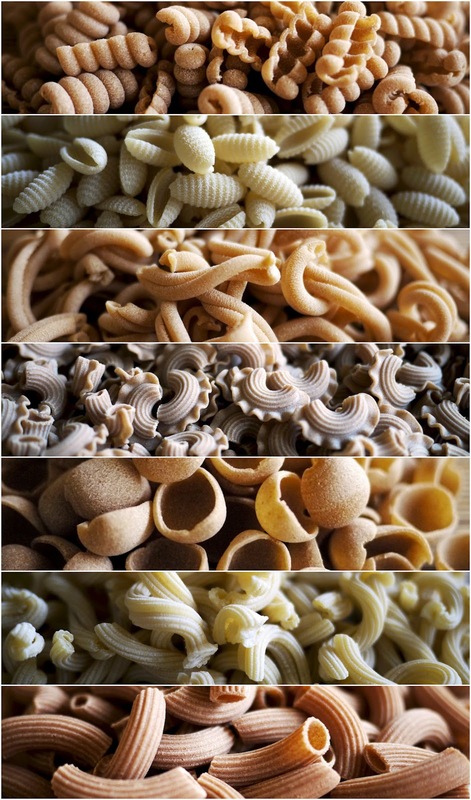 Our pasta is unique because it is the only dry pasta made with organic flours from US in small batches. It is a capital intensive business for a product that cannot be very expensive. This means that in order to be profitable you have to increase capacity (and sales) rather rapidly. Doing this without much capital is not easy. Only for very large order. When we do it we generally make a shape of pasta in a flour available only for that customer or we use particular flavors. 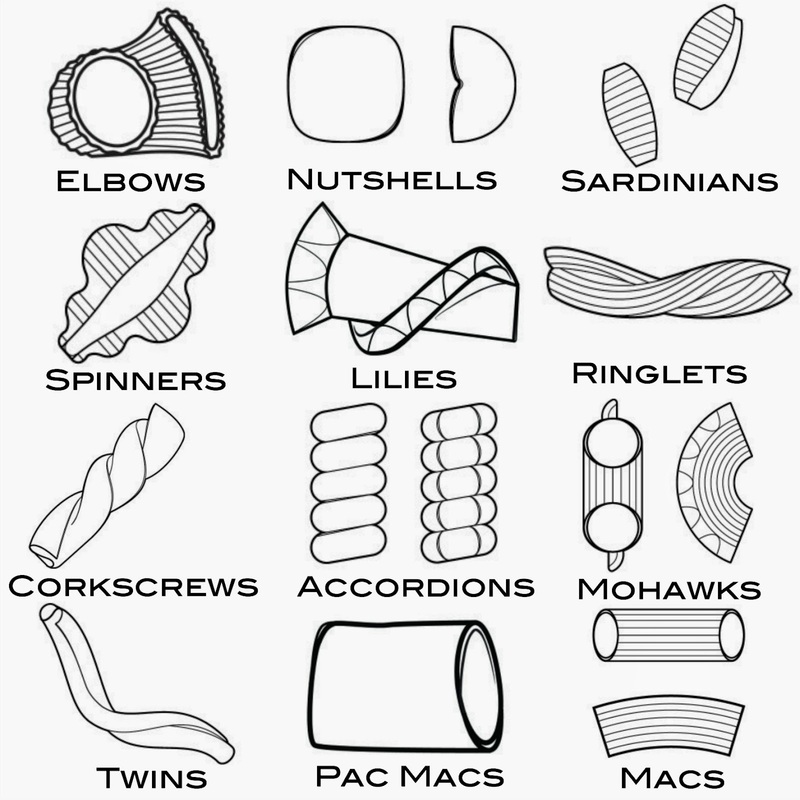 In short we produce types of pasta not available in our catalogue. The pasta we made for special customers does not require extra time or care respect to the other. We will almost certainly come again to Artisanal LA this Fall.